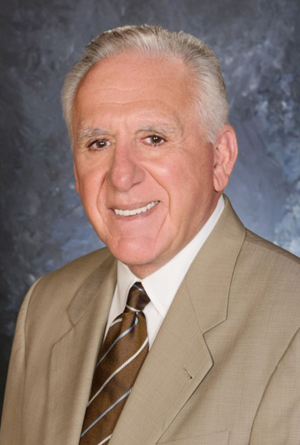 A member of the Laborers’ International Union of North America for more than 50 years (LIUNA), Raymond M. Pocino holds dual positions as LIUNA Vice President and Eastern Regional Manager. He directs and oversees activities that affect the working lives of some 40,000 laborers in the New Jersey, Delaware, New York City and Long Island geographical area. During his tenure, the Eastern Region has evolved into a vital, influential force within the 550,000-member Laborers’ International Union. As a LIUNA Vice President, Mr. Pocino serves as Co-Chairman of the New Jersey, New York and Delaware Laborers’-Employers’ Cooperation and Education Trust, and the Laborers’ Health and Safety Trust, two unique programs that bring labor and management together in joint efforts to stimulate economic development, upgrade the competitiveness of union construction, and improve the health and safety of laborers. He also serves as Co-Chairman of New Jersey, New York and Delaware Laborers’ Benefit Trust Funds. One of his first initiatives as Eastern Regional Manager was to establish the Laborers’ Eastern Region Organizing Fund (LEROF), the International’s first-ever regional organizing arm, of which he serves a Chairman. Mr. Pocino has carried his commitment to the Laborers Union beyond the union hall into an active public life. Long recognized for his expertise on transportation and economic development issues, Mr. Pocino serves as commissioner of the New Jersey Turnpike Authority, including on as chairman. He also serves as vice chairman of Choose New Jersey, and independent, privately funded non-profit corporation created to promote New Jersey as a place to invest and do business. Mr. Pocino also serves as a trustee for NJ SEED and the New Jersey Alliance for Action. Mr. Pocino has received numerous accolades for his commitment and service, including the New Jersey AFL-CIO Labor Award, the A. Philip Randolph Institute’s Labor Award, the Alliance for Action’s coveted Eagle Award for Leadership, Construction Man of the Year by the Building Contractors Association of New Jersey, Labor Leader of the Year by American ORT, New York City Chapter, and Labor Leader Honoree by the Newark Catholic Archdiocese.